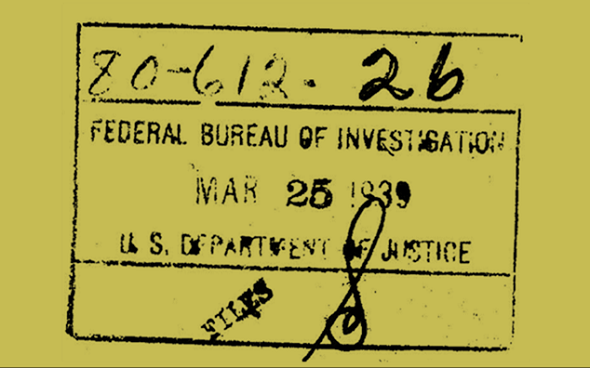 The FBI has recently declassified crypto-related files from the 1940s. These files contain a number of amusing stories. As mentioned before on Klausis Krypto Kolumne, the FBI operates a unit named CRRU (Cryptanalysis and Racketeering Records Unit), whose task is to break encryption codes used by criminals. Unfortunately, most of the CRRU work is classified. There are hardly ten criminal cases involving CRRU codebreaking that were covered in the media. Last year CRRU codebreaker Dan Olson gave a presentation at the Cryptologic History Symposium in Fort Meade, Maryland. It was a great honor for me to speak in the same session. 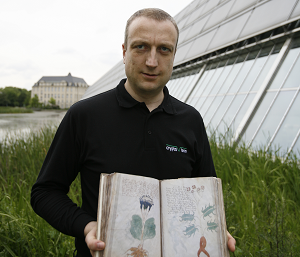 My talk was about unsolved crimes involving unsolved cryptograms. Dan’s presentation was highly interesting, although he only spoke about cases already known to me. 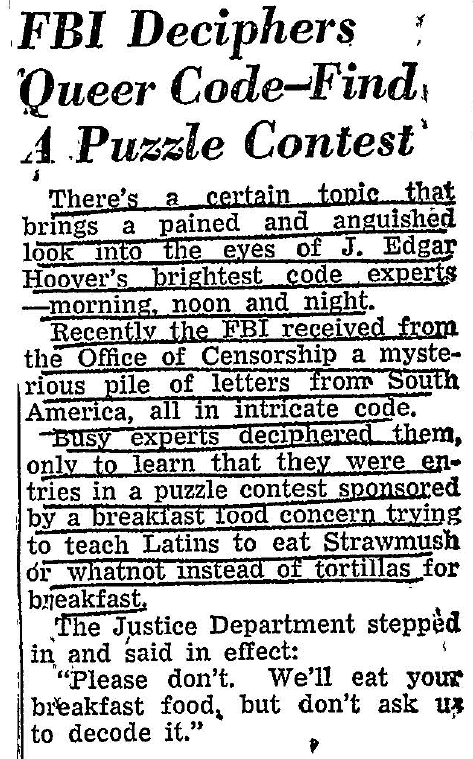 Now the FBI has declassified a number of files containing new information about their codebreaking work (thanks to blog reader Dr. Ralf Bülow for the tip). This material is available via the webseite “The Black Vault“. The files, which comprise about 360 pages provided in one large PDF document, stem from the time period between 1935 and 1975. When scrolling through the PDF pages, I was hoping to find new information about spectacular crimes involving spectacular encryption codes – but this did not happen. Instead, I found a number of interesting anecdotes (some of them even made it to the press), three of which I will introduce in this article. All of these stories took place in the 1940s. Can you break the encryption? It’s not very difficult. Be sure to bring your lesson book and Bible Sunday May 31st. This looks like a message sent to members of a church parish. I have no idea why something like this was encrypted. Does this message have a meaning? 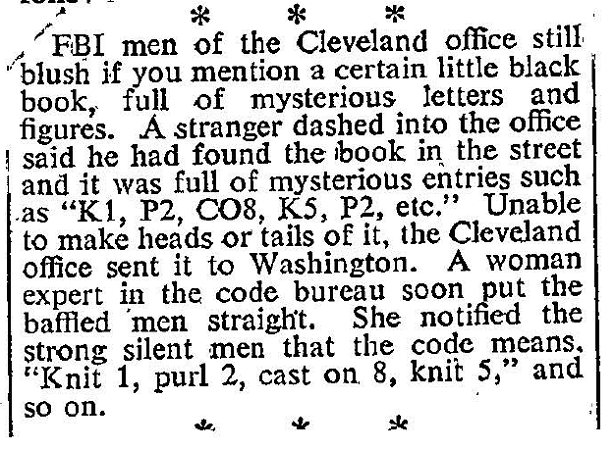 The FBI codebreakers thought this was not the case. If you disagree, please let me know. Pure speculation. Maybe a kid was inventing a cryptogram from an existing notice. About half the null groups look like word endings. I will guess those were taken from other text. and the others just made up. Knitting instructions, probably for a buttonhole in a front lapel.